Mount Kenya National Park is situated to the east of the Great Rift Valley, approximately one hundred and seventy five kilometers North-East of Nairobi City. Mount Kenya climbing is the centre piece of Mount Kenya National Park, one of life’s most spectacular experiences trekking up the mountain. Mount Kenya is the highest mountain in Kenya with the highest peaks of the mountain being Batian; 5,199 metres, Nelion; 5,188 metres and Point Lenana at 4,985 metres above sea level. Mount Kenya’s magnificence and alpine evolution are extremely remarkable that it has been awarded UNESCO World Heritage Site and World Biosphere Reserve. 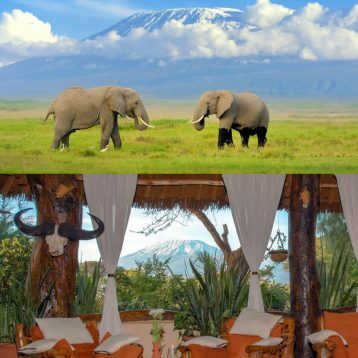 It is widely known as one of the most remarkable landscapes in Eastern Africa with its stunning Afro-alpine moorlands, glacier-clad summits and several different forests that illustrate extraordinary ecological processes. The mountain is an extinct volcano, which was created about three million years ago. Before glaciations the mountain was covered by ice. Although this has been eroded away and very few places are covered with ice. The mountains slopes are covered in forest, scrub, moorland and bamboo leading to the highest peaks of the mountain. Additionally Mount Kenya is also an essential water tower in the country, providing about fifty percent of its population with water as the forested slopes have played a key role as the source of water and seventy percent of Kenya’s hydroelectric power. The park can be accessed though Nanyuki-Isiolo road via Sirimon which is about 175km from Nairobi or Nyeri-Nanyuki road near Naro Moru. 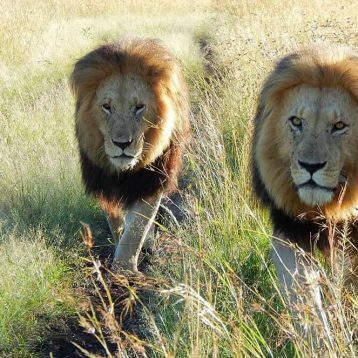 The park can also be accessed via Chogoria on the Embu – Meru road, about 150km north of Nairobi. 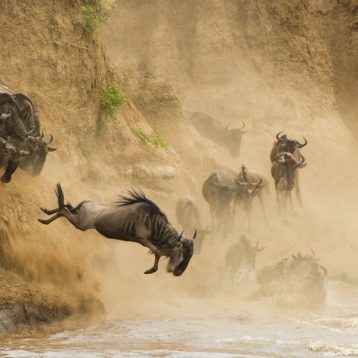 It can also be reached through air and the nearest commercial airstrip to the park is at Nanyuki. 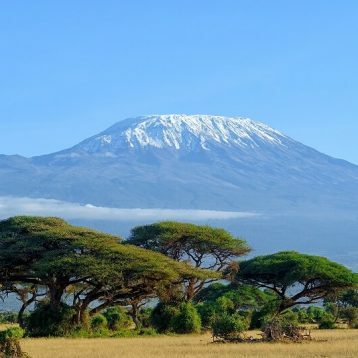 The best time to climb the mountain is between January to February and August to September to hopefully avoid the harshest weather conditions. It usually gets very cold as you proceed high up the mountain, remember to bring proper clothing.